If you follow along, you know how much I like to start new projects. I will admit that sometimes most of the time I jump around from project to project like it is going out of style. So, I had convinced myself I was going to focus on some WiPs and not start any new projects. Well you all know how long that lasted--about 2 hours. 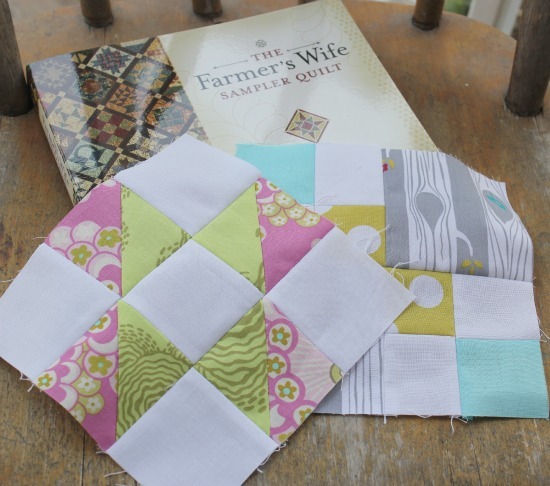 I just couldn't say no to a new QAL when I came across The Farmer's Wife QAL led by Angela from Fussy Cut and Amanda from Ms McPorkchop Quilts. My reasons--other than the fact it is being led by two fabulous quilty bloggers--you may ask. A. I already had access to a copy of the book. Thanks mom! B. It only requires finishing 2 - 6.5" x 6.5" blocks (out of 111) a week. Totally manageable. and, C. Because the blocks are so small, it is the perfect stash buster. The blocks are all made out of printable templates that come along with the book. But because I was so excited to get started, I jumped around and choose two that I could do with a little math. 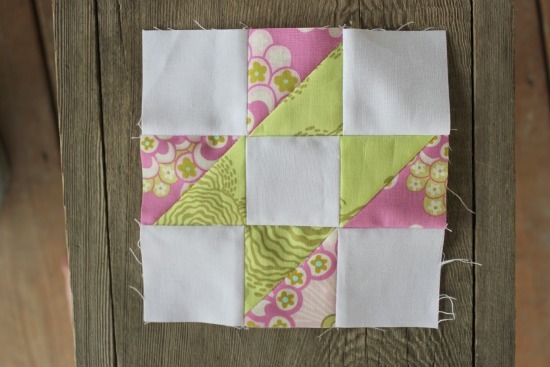 Since this is a sampler quilt and I will be using scraps for most of it, I have decided to stick with Kona White as the background for each block to add some "order" to the blocks. If you want to join in there is a flickr group with all the details. Yep, this sounds familiar to me! Great start! I'm trying to resist, but it's so hard! I might jump in, but I really don't need another project. Your blocks are cute so far! I'll enjoy watching your progress! I love the fabrics you have chosen. But those blocks seem awfully small to me to be piecing. I'll enjoy watching your progress. These are great! I have ordered the book and am joining in too. Oh man, all the cool kids are doing this one. I might have to get the book! I really like how you're doing your blocks! I picked up the book yesterday and have been trying to figure out how to do mine. 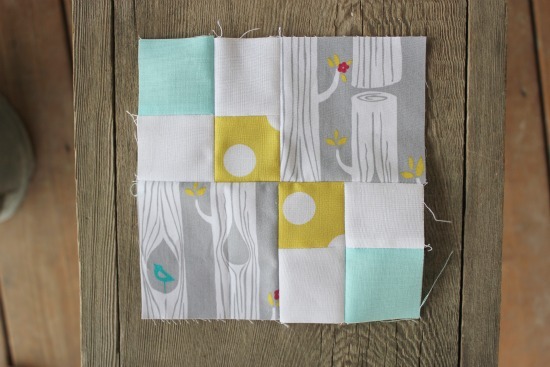 I like that you have Kona White in all of your blocks as opposed to using only prints. 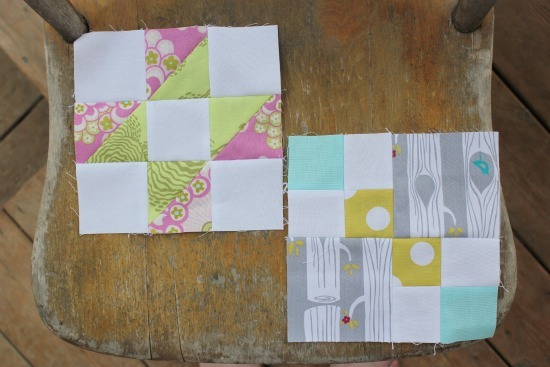 I think I'm going to take that route too and put solids in all of the blocks (although maybe not the same one).